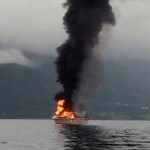 A small 30 foot fishing vessel caught fire while off Vanylven, Norway. 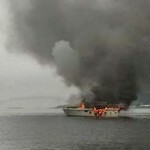 The fire quickly consumed the vessel forcing the single person on board to don a suvival suit and jumped into the sea. The man sawm a short distance when local boaters came to his rescue. Authorities were notified who dispatched fire and rescue personnel to the scene. Reports state the man had suffered smoke inhalation. View video of the vessel fire. 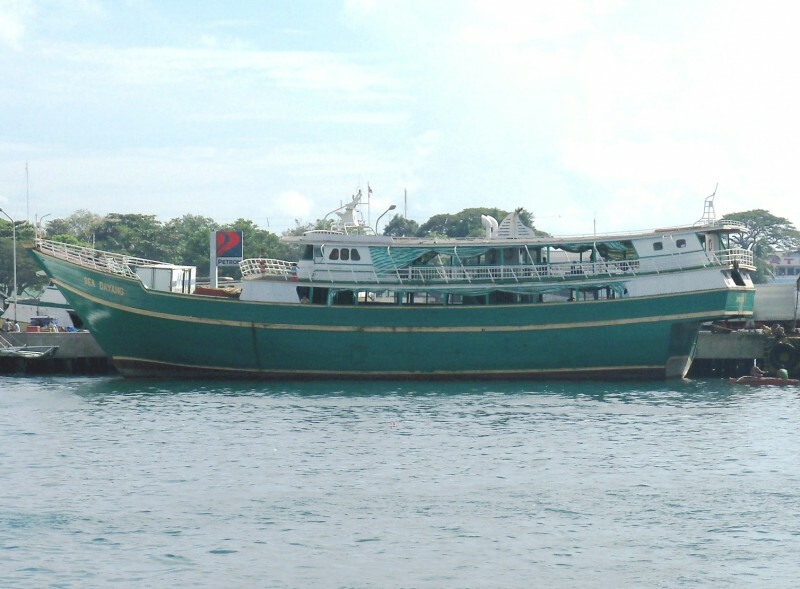 Photo of the Sea Dayang (Flickr) similiar to the Sea Dayang 2 which sank off Sulu. The wooden ferry Sea Dayang 2 sank in bad weather while off Sulu, Philippines. The Sea Dayang 2 had left Zamboanga City bound for Bongao, Tawi-Tawi with 9 passengers and 10 crew when it became overwhelmed by heavy seas off Sulu. The master of the Sea Dayang 2 was able to send out a distress call before the ferry sank. The Philippine Coast Guard and Navy dispatched vessels to the scene and rescued all 19 persons.